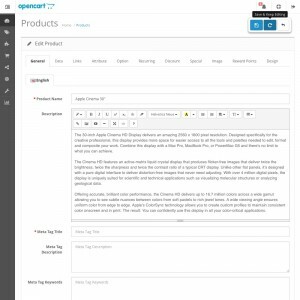 Speed up your workflow by adding a "Save & Keep Editing" button to your admin panel's product pages, category pages, extension pages, and more. 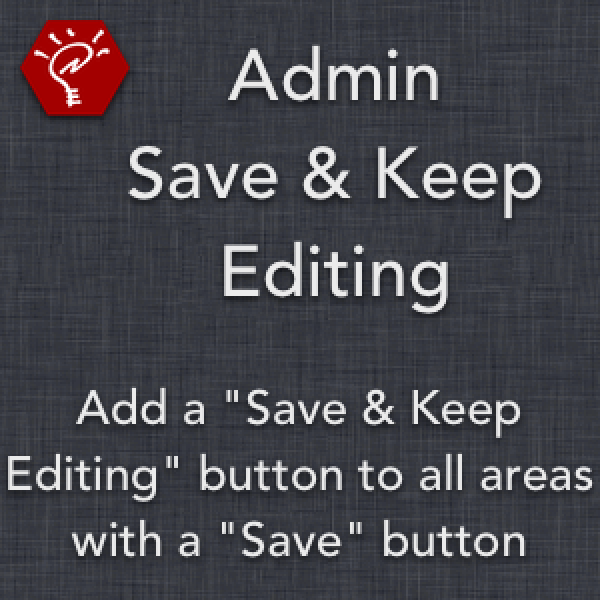 All "Save" buttons are globally replaced with "Save & Exit" and "Save & Keep Editing" buttons, allowing you to quickly save your progress and continue working. 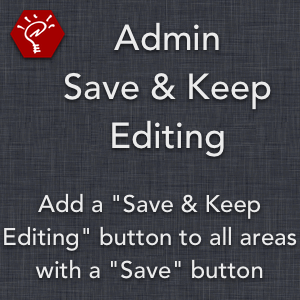 Fixes the "Save & Exit", "Save & Keep Editing", and "Cancel" buttons so that they're always visible no matter where you are on the page. 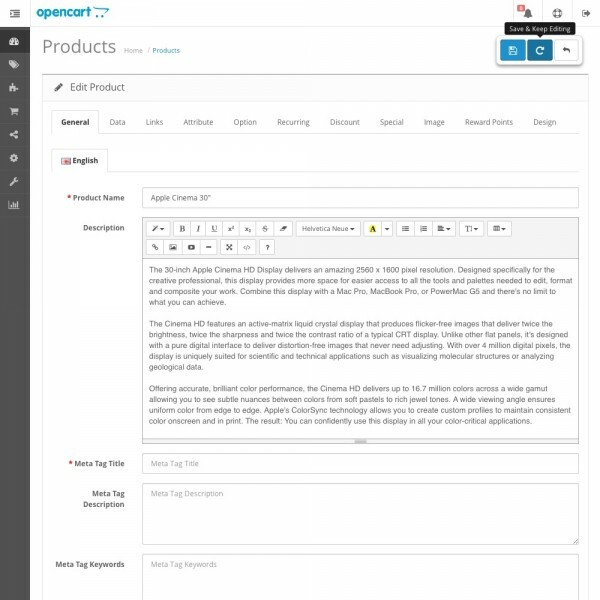 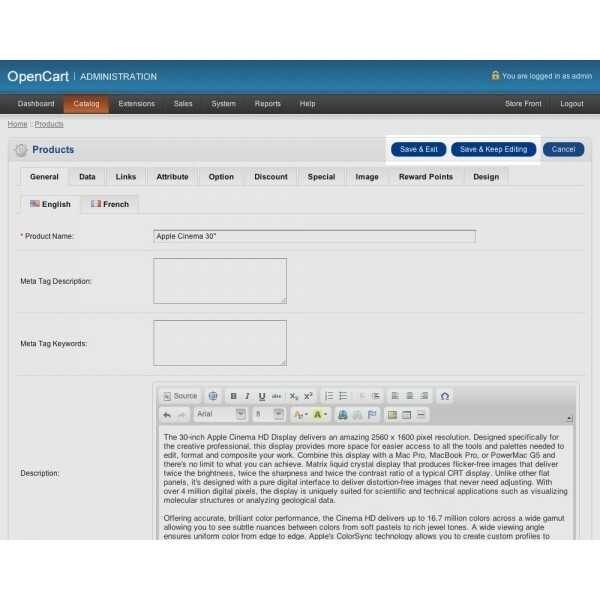 Works everywhere in the admin panel, including products, categories, manufacturers, attributes, options, downloads, reviews, information pages, modules, shipping methods, payment methods, order totals, product feeds, orders, returns, customers, customer groups, affiliates, coupons, gift vouchers, users, user groups, system settings, design settings, and localisation settings.